THE United States government says it is ready to work with President Emmerson Mnangagwa's administration, but has encouraged Zimbabwe to stop relying on the US dollar and instead introduce its own currency. "As you know, the United States and other countries do have sanctions on Zimbabwe. Even though we have provided US$220 million this year in assistance levels, it's going to community-based groups. What we want to do is we want to open and expand this opportunity, because again, you know, Zimbabwe was an economic great country in the past, it was the breadbasket of the south," Yamamoto said. "Today it imports food; its financial institutions are not in great shape. They have to go into the US dollar. That's good and bad; I mean, it stabilises, but it's bad because Zimbabwe should have control of its own finances. It shouldn't be dependent on United States or outside. And those are some of the reforms that we recognise need to be done immediately in short-term and also long-term. "And so we were committed to working with the Mnangagwa government, and also the people of Zimbabwe to really effect strong institutions, democratic processes and really economic and political reform that are meaningful and will get the country moving in the right direction." 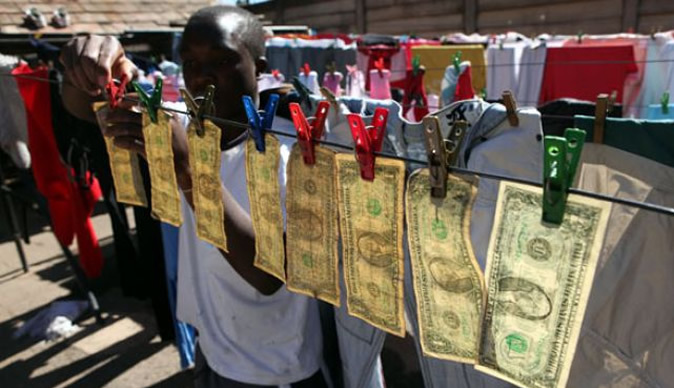 Official sources last year told the Independent the US is unhappy with Zimbabwe's poor anti-terrorism, money laundering, externalisation and illicit financial flow enforcement mechanisms which are exacerbated by porous borders. The concerns resulted in government fearing the US could bar the country from using the greenback as its anchor currency.